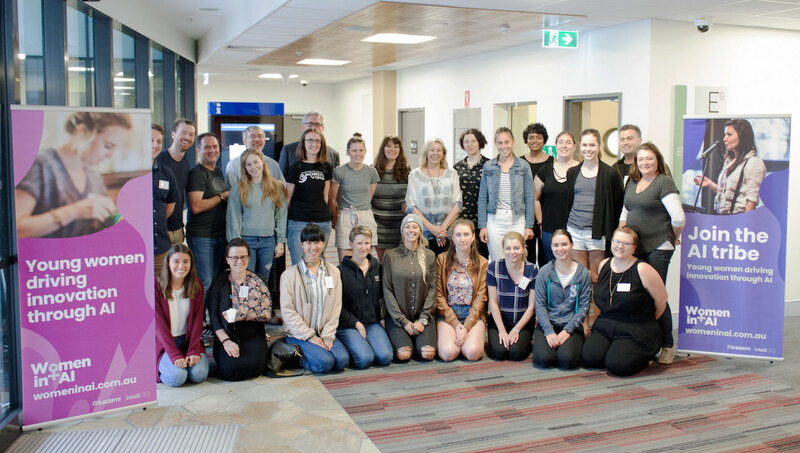 On September 28-30 2018, our first Women in AI camp took place at the Gold Coast University Hospital. The camp was our first major event designed to educate young women already in or looking to move in to the AI industry. The camp features speakers, workshops and activities to teach attendees more about tech, entrepreneurship and AI, and how to succeed as a young woman in the growing AI world. 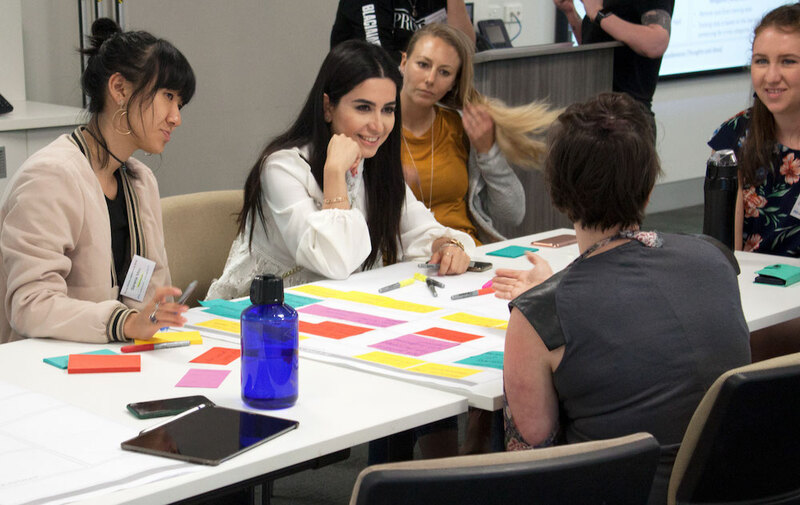 While our attendees ranged in both age (from high school to mid-twenties) and previous AI exposure (from tech novices to PhD students), feedback from across the board was very positive and everyone – including the organising committee – learned a huge amount. ‘I especially would recommend it to those who didn’t think the event is for them,’ says attendee Jenna. Following the talks, attendees were split into four teams and assigned mentors, and with their teammates would work on AI product ideas before presenting their AI-enabled solution on Sunday afternoon. To get started, camp mentors pitched a range of AI problems to be solved, and each of the teams chose the ideas they wanted to work on. The ideas involved detecting and preventing fatigue-related accidents on the road, enabling better patient care for the elderly at home, and using AI to help improve mental health. After a couple hours of group work to flesh out the problems to be solved, we took a trip to grab some dinner before heading home to prepare for day two. Day two saw a range of different speaking topics and plenty of time for our teams to develop their AI product ideas ahead of their pitches. We started bright and early with a deep dive into the building blocks of machine learning systems, along with walkthroughs of how ML projects come together in both the research and tech product worlds. Session two uncovered issues of bias and privacy in AI, with Karolyn Gainfort and Steph Singer from KJR taking a closer look at the Amazon Look (a device which gives fashion recommendations based on pictures of you) and previous examples of AI systems gone bad. Session three, a favourite of many of our attendees, sawCherie Whelan from Deloitte and Dr Emily Grossman talk about some of their experiences in male-dominated industries, how your own differences can often be your greatest strengths, and becoming a female leader in the workplace. Rounding out the day was Nilram Azadpeyma with how CISCO uses machine learning to detect network attackers, and more time for our teams to work on their ML project ideas. To round out talks ahead of the team pitches on Day three, we heard from Julienne Seyward (Griffith University) on how to make an effective pitch, and then Ruth Pearson (Silverpond) and Beck Simpson (Maxwell MRI) to talk about their path into AI and their tips on how to get there. 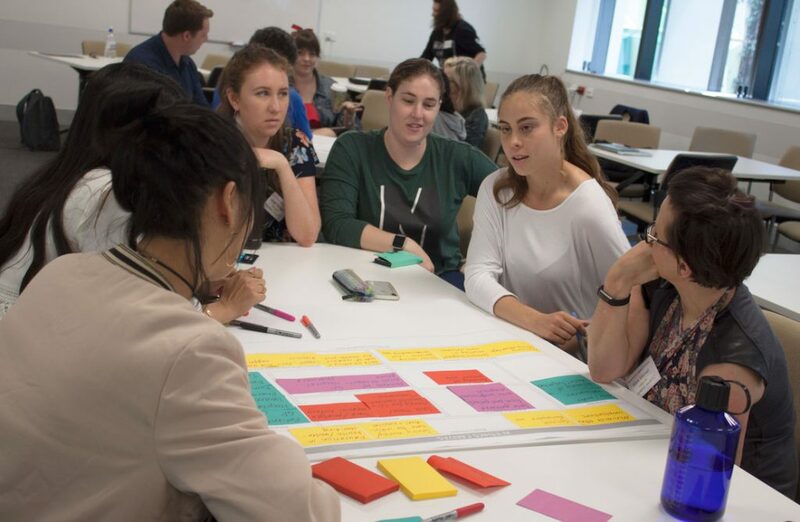 Following some group work and morning tea, Dr Nigel Greenwood (Machine Genes) shed light on effective ways to tackle hard problems, and some of his important lessons in finding funding for groundbreaking ideas. After lunchtime, it was time for our teams to pitch the AI product ideas. The products challenged modern problems and were given innovative solutions through AI and technological thinking (including engineering and mathematics) coupled with business strategies on how to market the product in the future. Our four groups pitched a range of ideas, including an AI-powered robotic elderly assistant designed to ‘keep people in their homes and continue their quality of life’, an antibiotic buddy (known as ABBY) aiming to help patients more effectively manage their antibiotic dosing, a mood journal app designed to help users report their subjective mood and tailor ways for them to be more aware of their mental wellbeing, and an app leveraging computer vision to monitor driver fatigue and reduce road accidents. The pitches were one of the highlights of the camp, with attendees having the opportunity to take the ideas they had learned across the weekend and inject them into their projects. The mentors and all of the organising team were blown away with the quality of the pitches given the timeframe the attendees had to develop them. Following three days of seminars and workshops, there was a lot of positive feedback on the camp, but one of the things we noticed as everyone was saying their goodbyes was the energy and sense of community within the group. While the core focus of the camp was to educate attendees on AI and leadership, so much of the feedback highlighted how empowering it was to share this experience with other women, and an excitement for the next events to be run as part of the program. It was a weekend of learning, collaboration and connecting with others, and we here at IntelliHQ were blown away by the calibre of the attendees and their potential for the future. We have spent so much time focusing on what we can give to the attendees during the camp, but we couldn’t help but notice how powerful the weekend had been for the mentors and speakers as well. In bringing together such a diverse group of people, male and female, young and old(er), we’ve all been empowered. It’s a bright future for our young women leaders in AI, and we can’t wait for the next camp in April 2019. 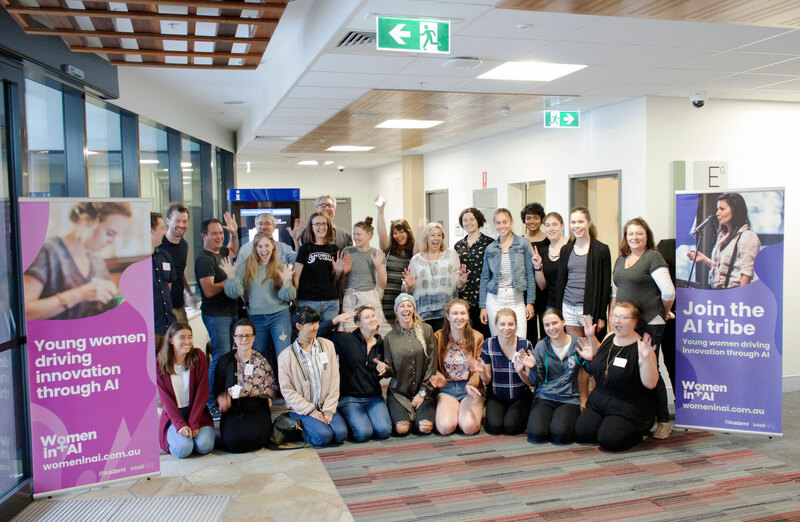 We’d love to thank all our wonderful attendees, speakers, mentors, sponsors (including KJR, Amazon, Gold Coast Hub, & Gold Coast Health & Knowledge Precinct) and everyone involved in making the program a success.